Few weeks ago our friends at LoveCars organized a meeting between supercars owners and a run to Salon Privé. 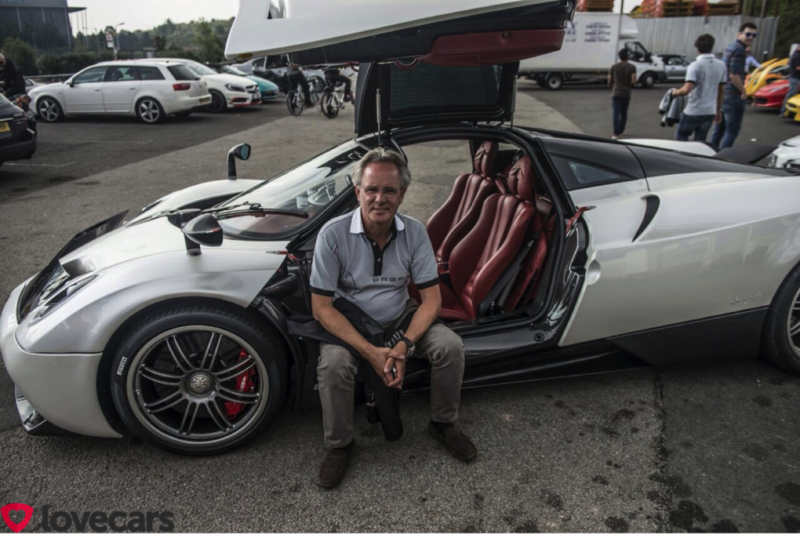 At this gathering took part 5 Pagani, 4 Zondas and Huayra driven by Horacio Pagani himself, which was their guest of honor. Salon Privé is a hospitality-only event appealing to discerning guests, collectors, buyers, owners and enthusiasts who prefer a more intimate and engaging experience. It is a presentation of the very finest automotive and luxury brands as well as the rarest and most valuable of classic cars and motorcycles, all of which are beautifully displayed on the lawns of one the country's most spectacular stately homes, Syon Park. The day started with breakfast at the Ace Cafe, North London, where a modest line up composed by Pagani, McLaren and Ferrari was exhibited in front of it. The run from Ace Cafe to the show was a lot of fun and very loud. Arrived at Syon Park, the home of the Salon Privé show, current supercars and vintage classics were showcased, included 3 Ferrari LaFerrari’s, the F12 TRS, Koenigsegg Agera, and a Ferrari 250 GT/L ‘Lusso’ which was sold at the auction for £1.8million (approx. $2.9m USD). The five Pagani are certainly not gone unnoticed. The Huayra driven by Horacio is a brand new demo car for the chinese market, in fact the car was shipped to Hong Kong after the event. While all the Zonda come from Britain, two Zonda S Roadster (the blue one is the car which marked the end of the model S production), an amazing F Roadster finished in "Singapore Orange" (this is the only Pagani ever produced in this colour) and an incredible Zonda C12, this one is the seventh and very last Zonda produced for the C12 6.0 model, moreover it's also the only one produced with right hand drive. Of course, as you can notice, the car received some updates during the course of its life, this particular car is 14 years old. It's wonderful how the silhouette of this car still looks elegant and actual after so many years. Over the Pagani Huayra and Zonda also other legendary cars like Ferrari F40, Lamborghini Miura and Countach, McLaren F1 GTR and a very loud Jaguar XJ220S took part at the rally. A fantastic day and a highly recommended show to attend. A special thanks to the amazing photographer George Williams which did a great work as always.